We usually think of smartphones as delicate devices, prone to crack from accidental drops or die from unintended water contact. 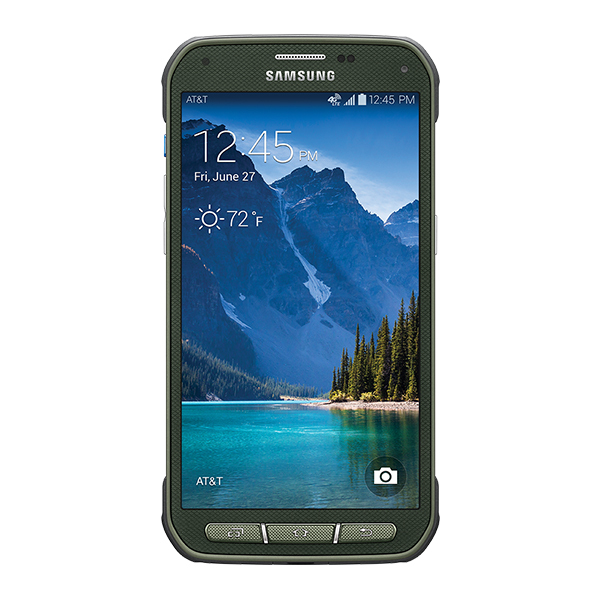 The Galaxy S5 Active raises the bar for ruggedness in smartphones without sacrificing screen space or functionality. The special apps that come with the device show the designers put some thoughts into assembling some useful tools that would fit into the lifestyle of those who would use a sturdy phone. Aside from the ruggedness, the phone can stand on its own as a reliable mobile device for text, photos, messages, and social media. The FHD screen makes it a decent multimedia player for visual, but it’s undermined by the back-facing speaker. 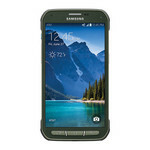 The Samsung Galaxy S5 Active is a good reliable mobile phone for anybody, but especially for the sporty, active users. The Galaxy S5 Active is a lot of things. A good all-around phone that’s sturdy would be one way to describe it. 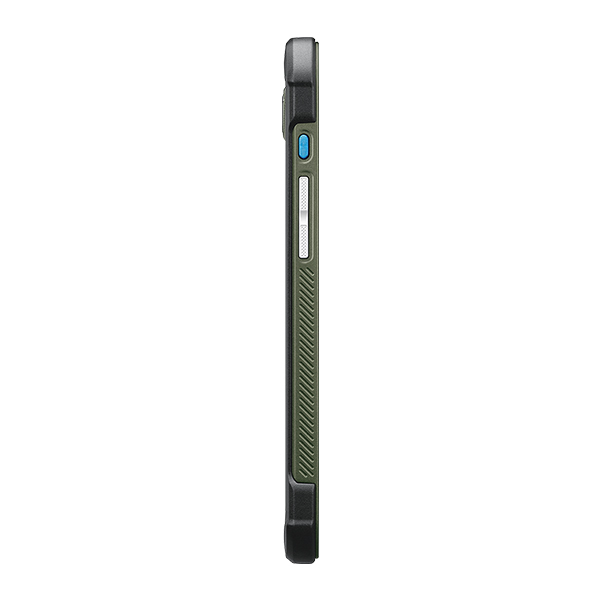 Another would be that its a Galaxy S5 with a slimmed-down Otterbox case on it. 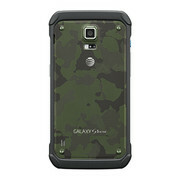 Available in Ruby Red and Titanium Gray, and Camo Green, the S5 Active will cost you the same as the regular Galaxy S5, $200 on a new contract. Now it just comes down to which you prefer: the plasticy beauty of the original Galaxy S5 or the brawn of the S5 Active. 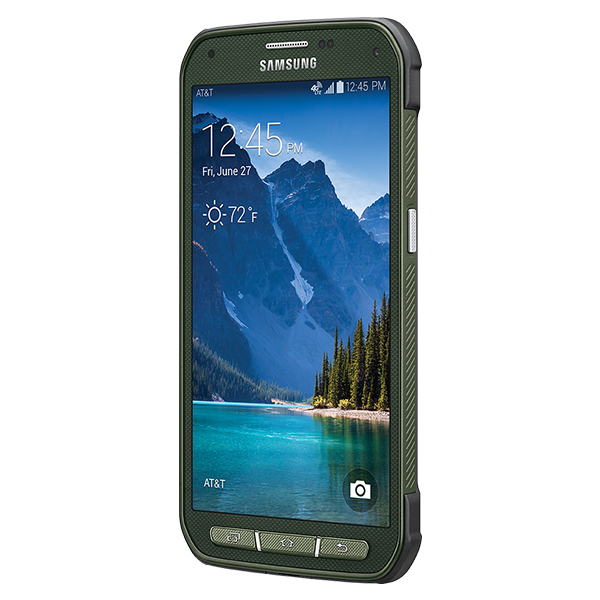 The Samsung Galaxy S5 Active is the best equipped rugged smartphone out there. If you are in the United States and looking for a smartphone of this type, the handset must be at the very top of your shopping list. Potential users in the rest of the world should look forward to the wide release of the handset as well. But only if they can provide the life of adrenaline and adventure this phone is built for. The Galaxy S5 Active is a smartphone that has a much better chance of surviving the length of that two-year contract than your typical handset. Plus, you get all the best goodies the regular S5 has to offer, including its bright and rich full HD screen, long battery life and feature-rich camera. The louder speaker than the S5 is another plus. Model: Rugged and the ability to take on the elements, the Samsung Galaxy S5 Active is a flagship device with endurance in mind. There are 3 colors to choose from; camo green, titanium grey and ruby red. The buffed up device looks like a Samsung Galaxy S5 with a durable aftermarket casing attached. 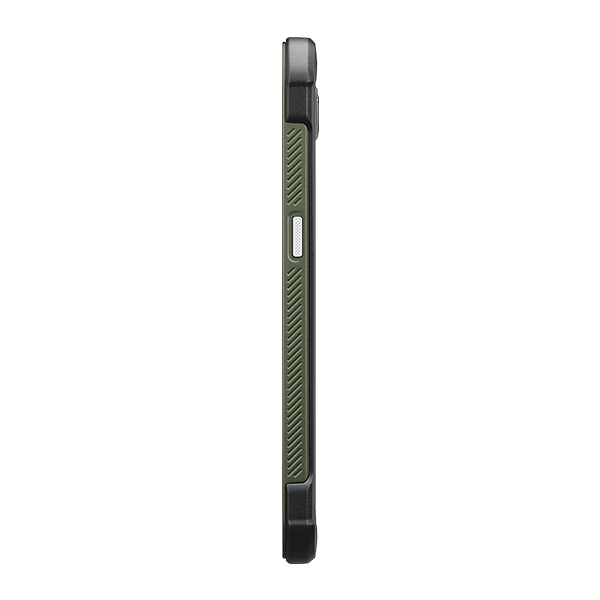 Edges are slightly curved but the corners are padded to increase shock durability. 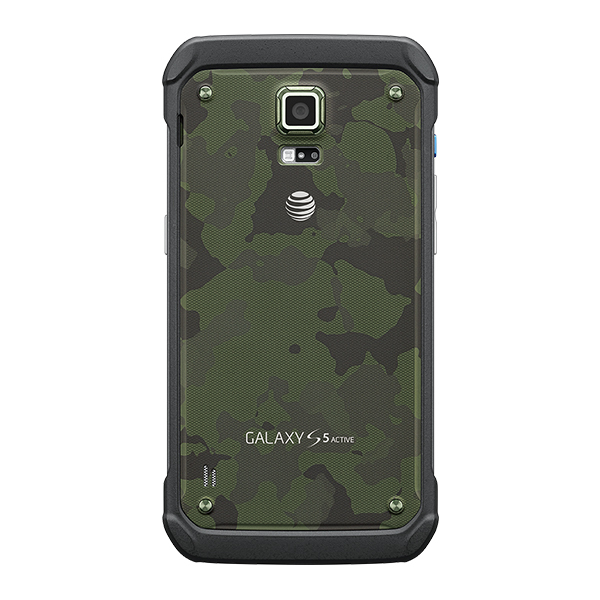 The Samsung Galaxy S5 Active is dustproof and water-resistant. The 5.1 inch Super AMOLED display is protected with Corning Gorilla Glass 3. Needless to say, the display quality is superb with 432 ppi and vivid colors. The Android 4.4.2 KitKat device is upgradable to v5 Lollipop. At the core is a Qualcomm Snapdragon 801 quad core processor clocked at 2.5 GHz, 2 GB RAM, Adreno 330 GPU and 16 GB internal memory. Users can increase storage using a microSD with up to 128 GB. The Samsung Galaxy S5 Active is equipped with a 16 MP autofocus rear camera, which delivers impressive snapshots and a 2 MP front camera. Other capabilities include Bluetooth 3.0, A-GPS and USB host. 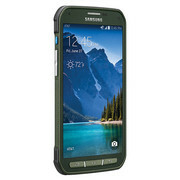 Battery life on the Samsung Galaxy S5 Active is good with a Li-Ion cell rated at 2800 mAh. This device is certainly a good alternative for users looking to feature rich flagship device with equally good durability.